Previously, on store.v3.co.uk we can obtain license key Ashampoo WinOptimizer 2010 advanced, on this post I’ll inform how to get Ashampoo WinOptimizer 6 with free License key. On the “computerbild.de” now you can grab the software for free. Normal price of Ashampoo WinOptimizer 6 is USD 39.99. There are some new features on Ashampoo WinOptimizer 6 that is, anti spyware module, context menu manager and new version hard disk defragmenter. 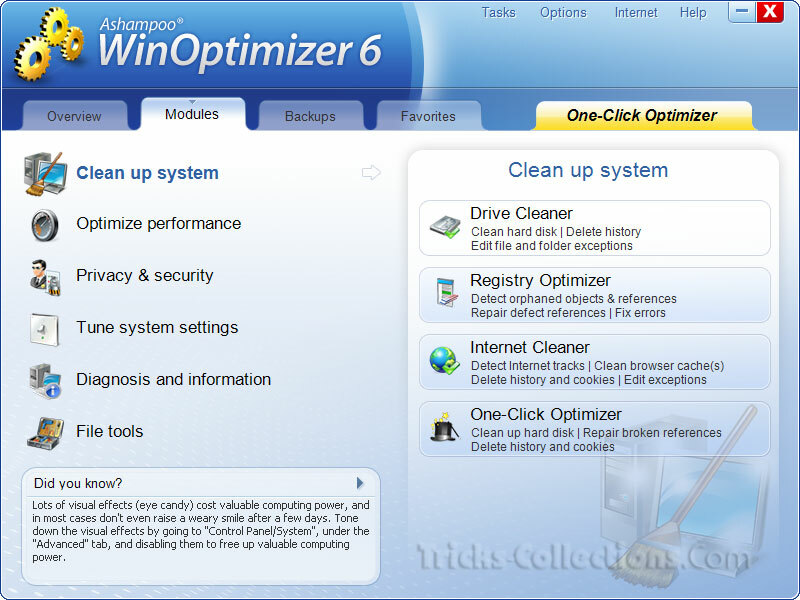 Improved features on Ashampoo WinOptimizer 6 is one-click optimizer, Drive cleaner, Registry optimizer, Internet cleaner, windows tweaking tools and System benchmark. Fill the form and submit. Once submitted the online form you’ll receive an email from ashampo that contain conformation link. Click the conformation link on the email and follow the instructions. And then you’ll receive your personal license key for Ashampoo WinOptimizer 6 via email. Ashampoo WinOptimizer 6 is not newest version Win-Optimizer software but this software has compatible with Windows XP, Vista and Windows 7 32bit and 64 bit. Related to "Download Ashampoo WinOptimizer 6 with Free License key"